Mr. Zeldin is a litigator with extensive experience in trials and other court proceedings, arbitrations, and mediations. He specializes in general business litigation, including contract disputes, real estate-related matters, business torts, business entity governance and dissolution matters. He also specializes in the representation of lawyers in all professional and business contexts. He has extensive experience in both state and federal courts, at the trial and appellate levels. Mr. Zeldin has handled nearly every type of real estate litigation matter, especially contract disputes concerning the purchase, sale, and leasing of real property. He has represented title insurance companies in major suits alleging escrow negligence, breach of a title policy, and real estate-related fraud. He has resolved numerous disputes through transactional solutions involving the sale or lease of real property. A significant portion of Mr. Zeldin’s practice includes the representation of lawyers in malpractice, fraud, securities, and trustee cases, the dissolution of and disengagement from law practices, and extrication from failed investments. He has also defended lawyers in sanctions proceedings and in disciplinary proceedings before the State Bar. Mr. Zeldin has litigated many disputes involving corporate, limited liability company, or partnership governance. He has litigated two disengagements of adverse second generation family members from successful family real estate empires. He has represented officers and directors accused of wrongdoing. He has also defended class actions and derivative suits. Mr. Zeldin’s clients have included entrepreneurial individuals, many small and medium-sized businesses, a number of publicly-traded companies, real estate developers and investors, institutional lenders and borrowers, litigants suing public entities and public entities being sued, law firms of all sizes and specialties, and some of the best lawyers in California. Mr. Zeldin’s philosophy of litigation is: focus on the most effective way to achieve the client’s objectives in the shortest possible time. Be as imaginative, creative and aggressive as the facts and law allow. Successfully defeated claim by a predatory promoter for $43 million of casino revenues on behalf of a Native American tribe after two month arbitration presided over by three of JAMS’ most experienced retired judges. Secured dismissal of law firm from a $400 million suit for breach of trust. Secured dismissal of a law firm from an $800 million class action fraud suit. Obtained dismissal by motion in favor of a law firm that was sued for $60 million. Secured exoneration and dissolution of an order to show cause against lawyers in the Qualcomm sanctions case. Successfully defended a lawyer against accusations that he breached duties and secured a large arbitration award in the lawyer’s favor on a related business transaction. Turned defense of a $12 million claim by one venture capital firm against another into a $4.5 million judgment against the complaining party. Won $80 million arbitration on behalf of one founder of publicly traded mortgage brokerage company against the other founder and received $3 million attorneys’ fees award. Secured $8 million judgment for secured creditor after court trial. Mr. Zeldin taught a trial practice-type class and a class on alternative dispute resolution at Boalt Hall School of Law (now BerkeleyLaw) at the University of California at Berkeley for 20 years. He has authored and co-authored extensive teaching materials on litigation strategies and techniques as well as administrative and public interest law. His publications include “Choosing Between Federal and State Court” (ABTL Report, Vol. 2, No. 1, November 1992); and “The Ten Commandments for Avoiding a Fraudulent Real Estate Transaction” (California Land Title Association Claims Awareness Hot Sheet, Vol. 10, No. 3, June 1999; republished in April 2006 in Click San Diego Real Estate). “Using the Deposition at Trial” for Practicing Law Institute. 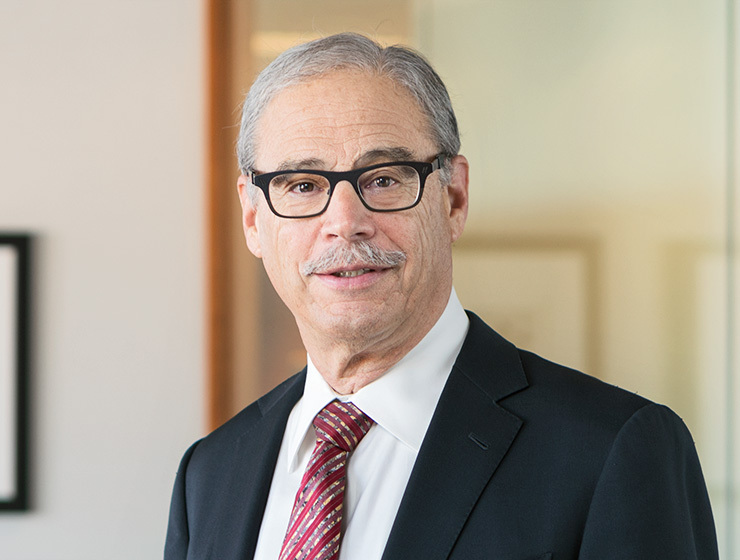 Mr. Zeldin is a member of the American Bar Association, Bar Association of San Francisco, and the Association of Business Trial Lawyers of Northern California, and has served as a Judge Pro Tem in the San Francisco Superior Court’s Early Settlement Program. Mr. Zeldin has been chosen as a “Super Lawyer” in Business Litigation by the Northern California Super Lawyer magazine every year since 2005, and in 2017 Super Lawyer named him as a Top 100 Lawyer in Northern California. Mr. Zeldin has been listed as one of The Best Lawyers in America in Commercial Litigation and Bet-The-Company Litigation every year since 2008, as well as in Real Estate in some years. He is AV Preeminent certified by Martindale-Hubbell peer review rating system.